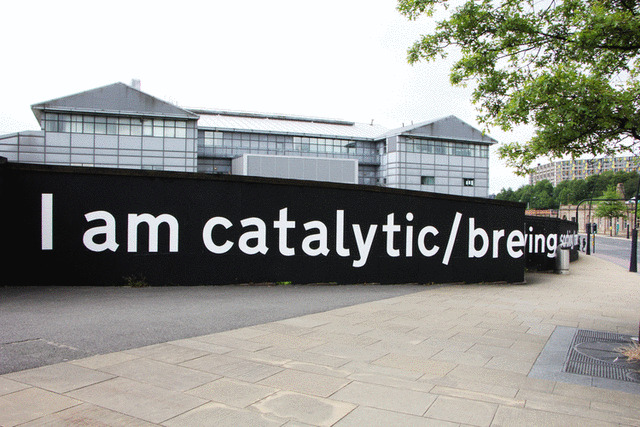 Catalytic communications? How might visual communication be measured? How do graphic designers transform spaces, behavior, policy? Where does their responsibility end and is this paradigm shifting? Traditionally graphic designers have been employed in the service of various forms of persuasion. The graphic designers role and influence often ends at the point of delivery to the client with the intent and effectiveness of the communication left unexamined. Online and digital communication platforms enable feedback loops to be built into the design process. UX methodologies can simultaneously realign both the message and channels of communication, becoming highly responsive to audience and changing contexts. How might we measure the impact of communication outside of this space? What new tools and systems might be employed to help measure the effectiveness of a particular design strategy? The method utilizes 100m of advertising hoarding and large scale catalytic typographic messages to promote cleaner air in Sheffield. The intent is to provoke civic responsibility through smarter travel choices. Methods of measurement include harvesting quantitative data of car usage around the communication (working with partners across the city data is gathered using diffusion tubes and telematics), and qualitative data gathered through interviews and surveys. The communication will change over time as NO2 and PM10’s pollute the typography. 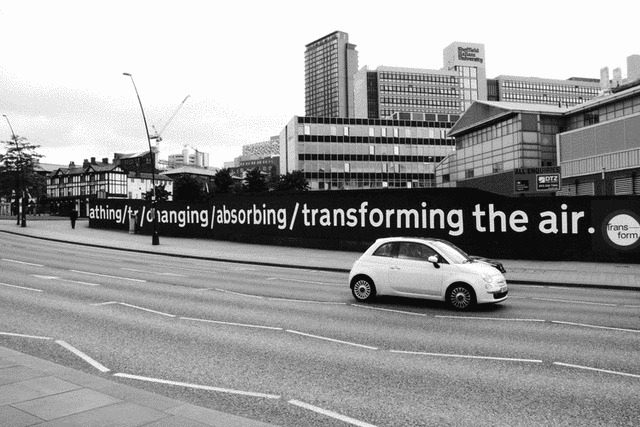 The project was presented as part of the Transform section of Sheffield Design Week Conference on Thursday 18th June 2015. The installation is in progress.